But do we think that's the color, or is it the Distressed Brown that Danner offers? The tongue piece (lined up to the first speed hook after the eyelets) is very brown, I think that they are the regular brown, not the distressed. In the circle here in the image, the colours look to match nicely. I think his boots are just distressed from use or whatever. Will have go try to chase down some "old" model 8 inchers !!! 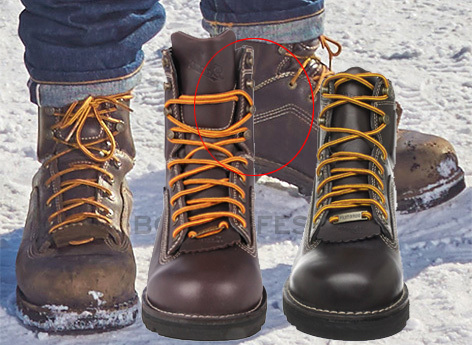 One thing I'm curious about is on Danner's site I don't see the ankle guard as visible, at all, really. Am I looking at the wrong model of the Quarry? If it was converted to fire blanks, then it stands a good chance they machined the breech so it cycled correctly. Unfinished, as they sometimes do with blank conversions, it would shine silver. It's too early to see what it is from that picture, but it doesn't look like anything Walther or Glock. More like HK USP to me. We shall see. It's so hard to tell from the photos. 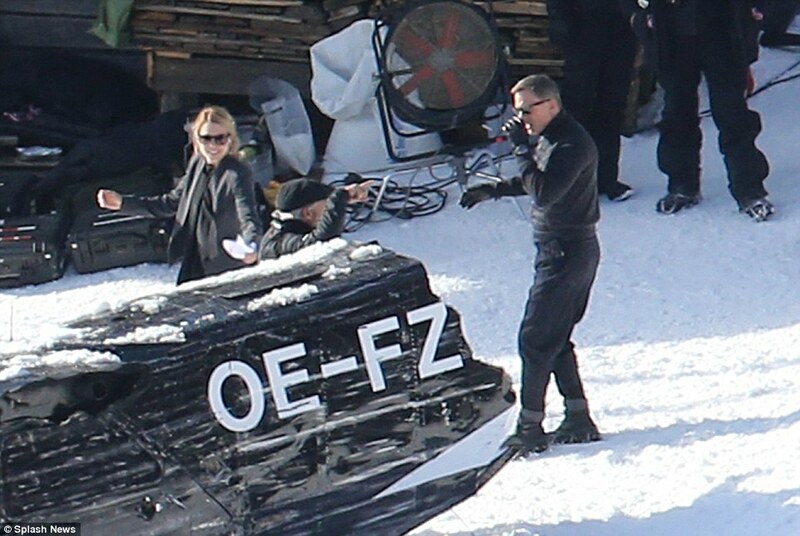 I remember on Skyfall I was certain in the early photos it was a P99, and it ended up a Glock. It looks Walther to me, but again, I've been wrong before. Hmm could that be a gilet / body warmer with a turtle neck jumper underneath and not a jacket!? 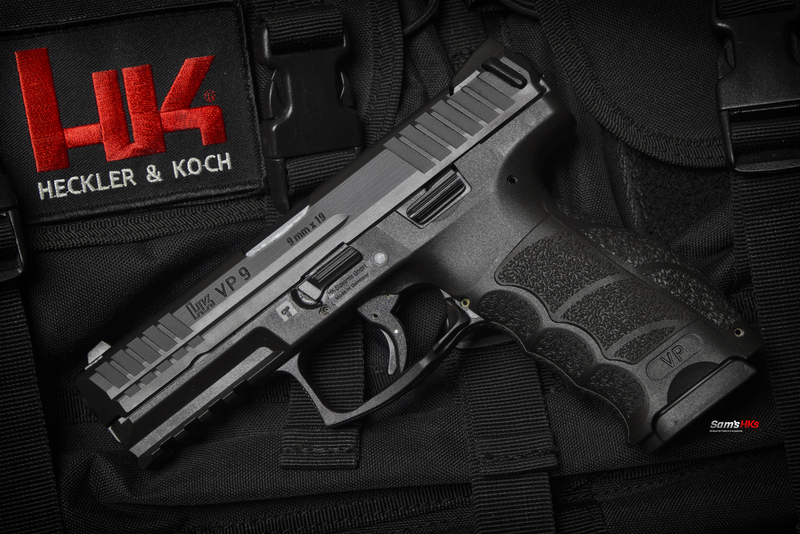 Given the locale, if it's not Glock then H&K would make sense! I think you could be right Welshie. There's a slight colour as well as shine variation between the sleeves and body, which also makes me think it's a gilet. Looking closely at the Daily mail picture, it does seem to be a full jacket rather than a gilet - and insulated front, fleece/smooth sides and back - maybe this Canada Goose one? Good call. That looks like it could indeed be it! Nah I don't think it is. Look at the arm sleeve material. The Elliston jacket has a quilted pattern. This is a smooth texture like fleece or tight wool. It also looks like this sunglasses are a good bet for the film. Not the hard part of identifying them! whatever, I bet Canada Goose sales are up this year! - strange, many years ago I worked for a large outdoor clothing retainer in the UK, and Canada Goose were seen as a cheap brand!! DC is not a big guy so it's going to look big. If anyone finds them Im looking for US 9.5 D fit ??? Is it even a watch? Perhaps it's some sort of gadget.